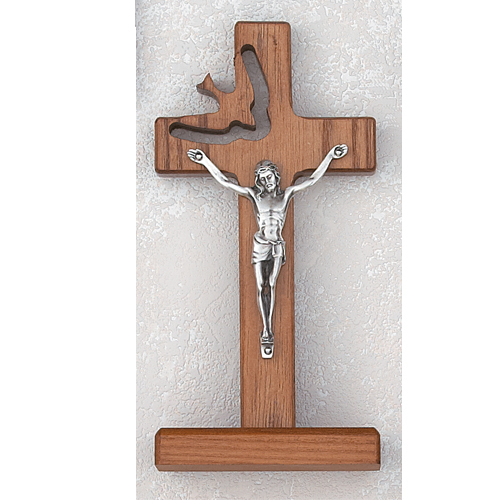 An 8" Oak Crucifix with the Holy Spirit cut out and descending from above. The crucifix is attached to a sturdy stand so you can place it in a special spot. Proudly made in the USA and gift boxed. A meaningful gift for someone who is receiving confirmation or going through the RCIA program. A wall version is available.